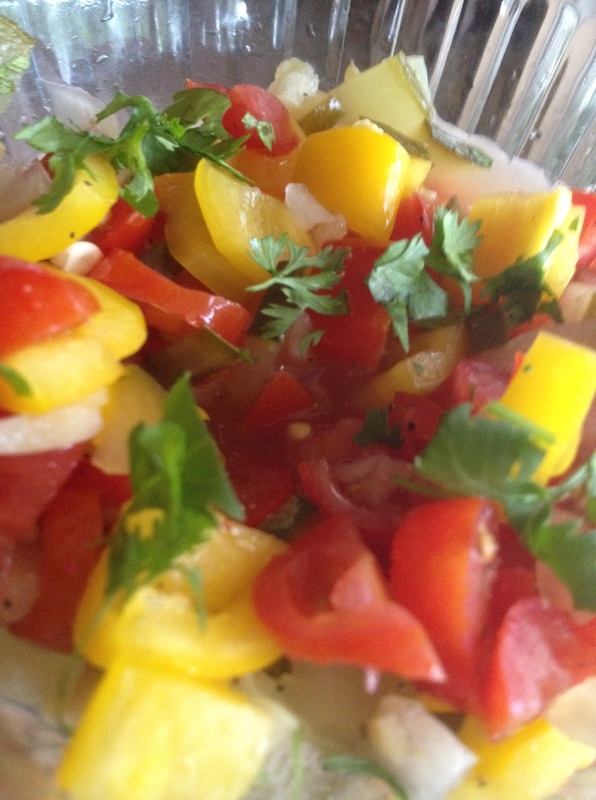 This pickle salsa received MANY hits when I posted it earlier this summer. I just made this again over the weekend to go with our grilled chicken, and then sent the last bit of leftovers to school in Anna’s lunchbox. This is definitely a great dish to bring to any football or tailgate party! Place all ingredients (except cilantro) into a bowl. Stir and cover. Chill and serve with fresh cilantro as garnish. It is best made the day before. Enjoy on black beans and rice, with tortilla chips, or over a bed of romaine.